it was a true delight to spend the day with you in Paris, at least virtually. Would love to stroll around the old quarters and to have a tea there. Thank you for taking us on your tour. 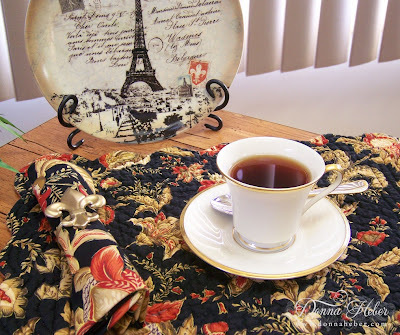 Tea in Paris sounds like a dream to me! My youngest son was in Paris last summer and he sent me pictures. How I envied him! Your teacup is lovely and I like your plate and napkin ring as well. Thank you for transporting me for a cup of tea in Paris today. Wishing you a delightful day. 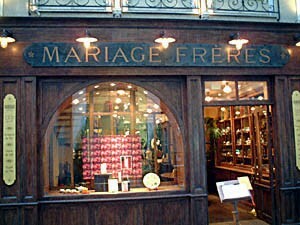 Paris and a cup of tea at Mariage Freres ... perfect! Lovely teacup. Happy Tea Day! 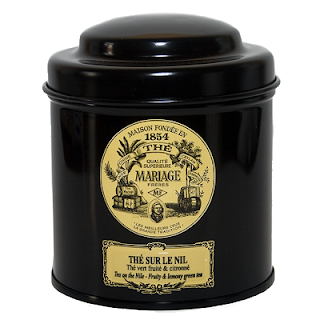 A lovely French tea trip. Perfect! Thanks so much, and thanks for linking to Tuesday Cuppa Tea! Donna(BC/MB) nice photos, what a talent. 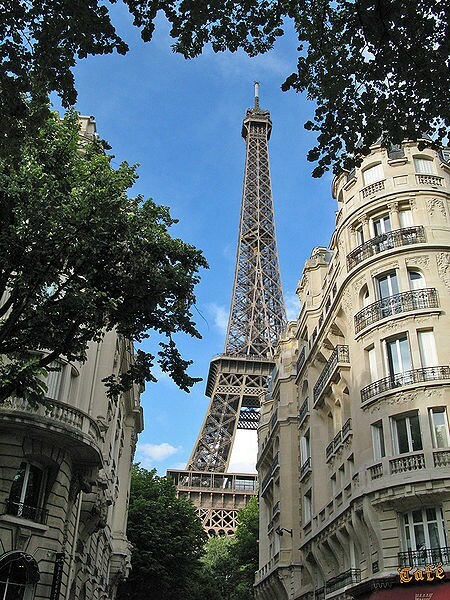 Thanks for stopping by I wish it could be in person.Love the pics of Paris. 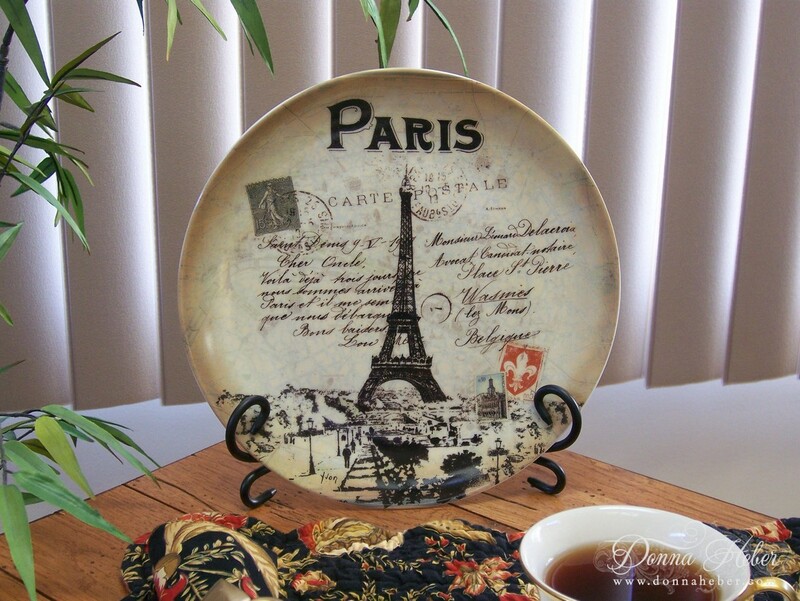 Love your kitchen Paris plate. Thanks for sharing my friend. I enjoyed tea time in Paris and love your Paris photo's & pretty plate. 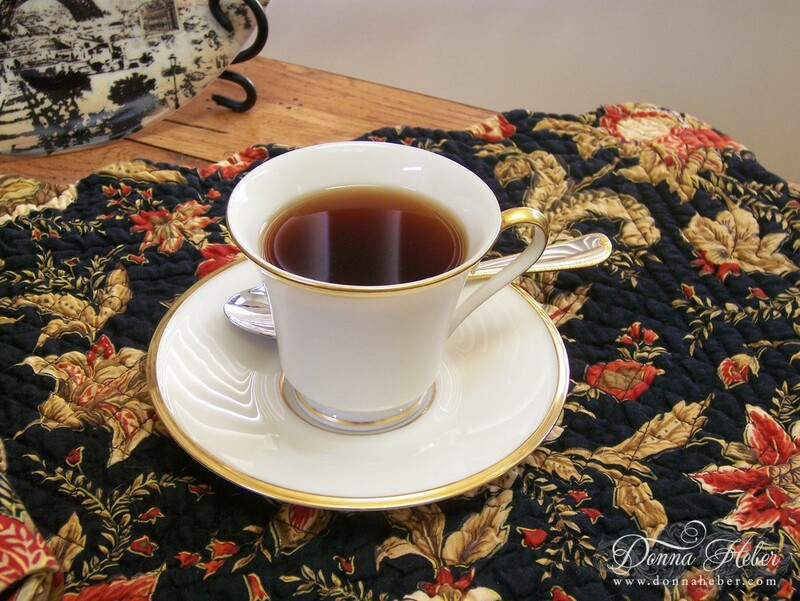 Donna, This was a fun tea post! I very much enjoyed the tea tour. 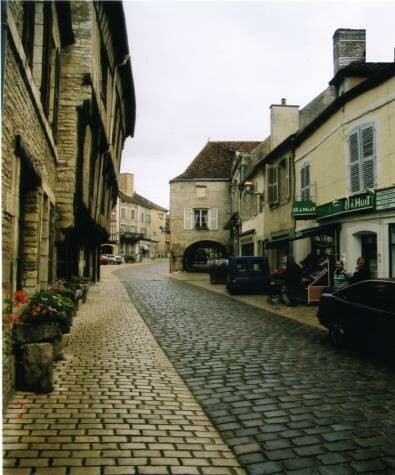 I was in Europe some years ago, before the age of digital photography. I have photos but they aren't what they would be if I were to take them today. Have a wonderful week and thanks for sharing Paris! What a wonderful virtual tour of Paris. Some day I will get to Paris for afternoon tea. Thank you for this very nice tea with a Paris flavour and also for having come to visit me. Ooooh la la Donna! Thank you for the stroll to a Paris tea shop! What a romantic post for tea! And the cat museum that's just around the corner! Love Paris. Haven't been there in YEARS. Tea in Paris is lovely. 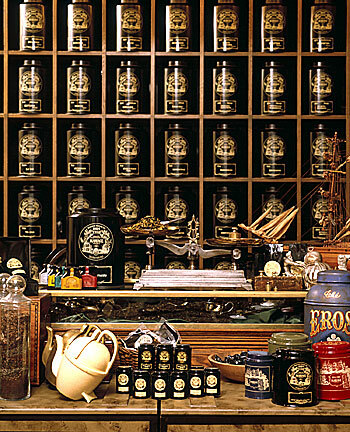 I have never been to Paris until tea with you, thank-you! Just gorgeous - as I remember it as well :) I have been to Paris a few years ago and it's an enchanting city to say the very least! Beautiful photography!! Love the pictures. I made feel I was there. I bet tea in Paris is lovely. I love a touch of Paris in my home too. Love the plate!! I am your latest member I love your page. I'm definitely up for this!!! Great post and thanks for linking!